These days, kids will stick anything in their ears, even if it causes hearing damage or memory loss. You cannot blame the latter on earbuds. That is all Jack Clè’s doing. He has developed the Oubli, a Blue Tooth like device that vividly recalls your happiest memories. One of the so-called side effects is a generally dimming of unpleasant recollections, but opinions differ as to just how bad that really is. 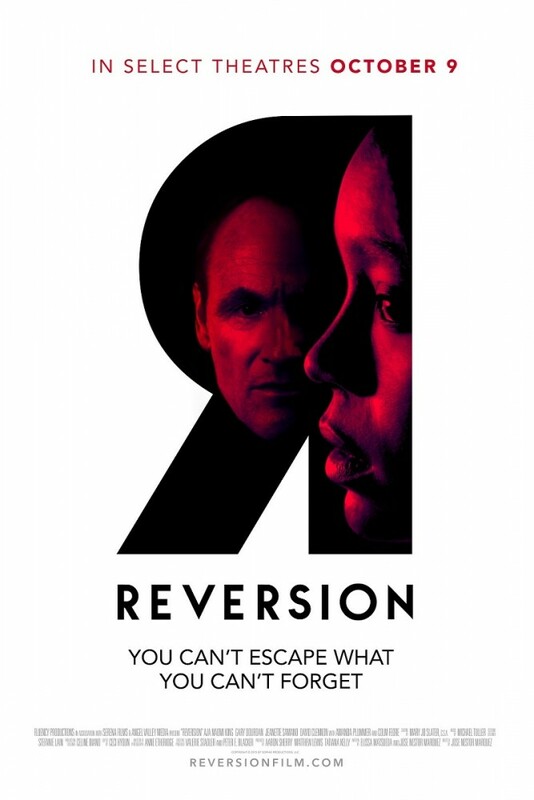 However, his daughter and marketing director starts to experience some rather nasty malfunctions on the eve of their product launch in Jose Nestor Marquez’s Reversion (trailer here), which opens today in New York. Sophie Clè is not just an Oubli user. She is unhealthily dependent on it. Rather than living in the present, she constantly revisits the last happy memory she has of her late mother. Thanks to her hype and some creative regulatory evasion, Jack Clè stands to make a fortune off the Oubli, but his triumph is jeopardized the night before their big Steve Jobsian media event, when Ms. Clè is kidnapped by a disturbed woman raving about her implant. Unfortunately, she seems to fiddle with a similar implant Clè never knew she had. She manages to escape soon thereafter, but Oubli use no longer has the same soothing effect. Instead, she starts experiencing violent flashbacks of her mother’s death that seem to implicate her father. With the help of her loyal driver-bodyguard Ayden, Clè will seek answers from the unstable Isa and her father’s estranged research director, Elizabeth. Clearly, some kind of conspiracy is afoot, but like Tom Cruise in A Few Good Men, it is not clear whether she can handle the truth. For the most part, Reversion is a slickly competent near future thriller, but rather than being cool and exciting, the implications of its new technology are quite sad and depressing. Granted, we should always remember our loved ones, but we still need to move on. That is a worthy message, but Reversion still has its strange headscratchers, like why does the bodyguard know where all the corporate secrets are tucked away? 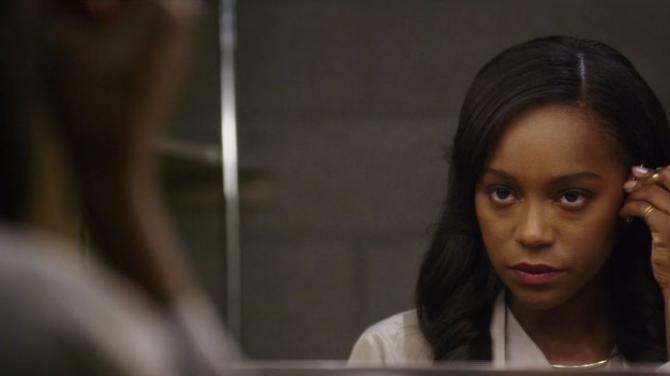 As Sophie Clè, Aja Naomi King (How to Get Away with Murder) comes apart at the seams pretty convincingly. Of course, a smooth talking ambiguously villainous figure like Jack Clè is right in Colm Feore’s power zone. Arguably, he is the best part of the film, especially considering how he carries out the big reveal. On the other hand, Gary Dourdan’s Ayden looks like he hasn’t slept for days, which could in fact be true. Unfortunately, the tragically twitchy Isa is also rather underwhelming, while Amanda Plummer phones in her near cameo as Elizabeth. There are worse films opening this weekend (looking at you, Knock Knock), but Marquez’s pacing is a little too slack and Dourdan is a little too vacant looking for it to really come together in a big way. Conceptually, it is an interesting little oddity, but it could have used more spring in its step. Still, you can’t argue with all the screen time it gives Feore. For King’s fans, it opens today (10/9) in New York, at the AMC Empire.